Horse racing is not only a year-round sport with over 70 race tracks in the US and Canada alone, it is one of the most assessable betting sports around. Between the actual tracks offering live racing cards at various times of the year, there is a proliferation of off-track betting venues in a number of states in the country. Throw in even more online betting sites dedicated to horse racing and there is no shortage of ways to bet on all the daily action at tracks with a live race card. Despite the proliferation of horse betting options, the top online sportsbooks in the sports betting industry are still the best place to bet a daily card at your favorite track through each site’s racebook. Besides the convenience factor of simply using your online betting account to wager on the races, online books have created a competitive advantage with the use of rebate programs and other horse racing incentives. Most online racebooks will give you cash back on your daily horse racing volume regardless of whether you won or lost money that day. These cash back rebates are an excellent way to stretch your betting bankroll for horse racing. Best of all, there are no special requirements or restrictions to collecting your rebate. Most books will credit your account ahead of the next day’s horse racing card. The main reason why you should bet the Kentucky Derby Trail at your favorite online sportsbook is the added betting options that are not available at land-based tracks or online horse betting sites. Some books have already posted a few basic Kentucky Derby props and most have updated Kentucky Derby futures up on the board. You can also bet the biggest races on the prep schedule as a futures bet as opposed to waiting for the actual morning lines odds to be released. Often times there can be some significant value in a favorite in a futures bet as opposed to the odds that are bet down at the actual track hosting the race. Between the beginning of March right through mid-April, there are major graded events on each weekend’s slate as part of the prep schedule for this year’s Triple Crown racing series. From coast to coast, famed race tracks such as Aqueduct in New York and Santa Anita Park in Southern California offer their own racing series of prep races. Each of these tracks has a signature event that will have a major impact on the final 20-horse field for this year’s Kentucky Derby at Churchill Downs on Saturday, May 4. The featured event at Gulfstream Park at the end of March is the $1 million Florida Derby. Earlier that month at Fair Grounds Race Course is the running of the $1 million Louisiana Derby. Moving into early April, the $750,000 Wood Memorial is the featured race of the prep schedule at Aqueduct along with the $1 million Santa Anita Derby. The top race at Keeneland as another iconic Kentucky race track is the $1 million Blue Grass Stakes. All of these big money stakes races for the top thoroughbreds in this year’s three-year old class lead up to the Triple Crown racing series. After nearly a 40-year drought, there have been two Triple Crown Champions in the past few years. American Pharoah won the Kentucky Derby, Preakness Stakes and Belmont Stakes in 2015 and last season Justify duplicated that feat to become just the 13th thoroughbred to claim this honor since the series began in 1875. 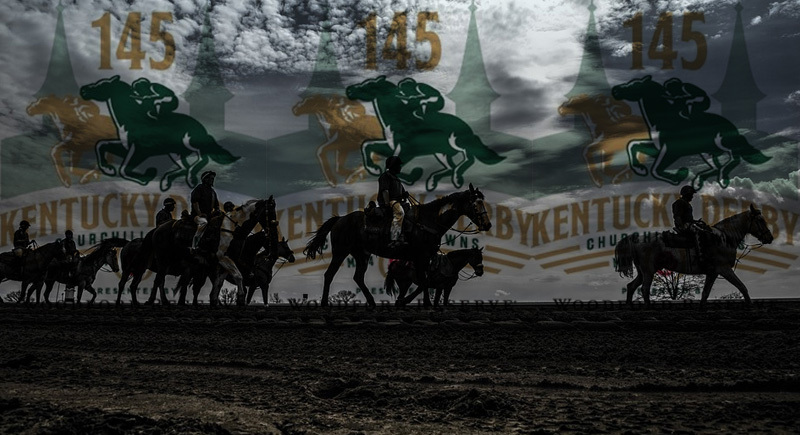 Easy access, early odds, prop bet options and cash rebates are just a few of the ways that online sports and racebooks rise above the fray as the best option for betting the Kentucky Derby Trail and the Triple Crown racing series.